Operation Smart Water looks to improve watering applications to trees common in the Inland Empire. Our projects research team—Dr. Darrel Jenerette and Dion Kucera, who is currently working on his Ph.D. at UCR—have devised a list of tasks that you, the community scientist, can help with in order to accomplish important environmental research. How does surrounding plant material influences the way urban vegetation responds to drought? How can we efficiently use water for urban trees without degrading plant status? 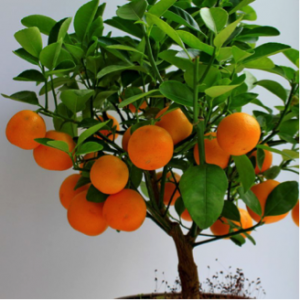 This study examines two commonly planted urban trees, crape myrtle and orange. 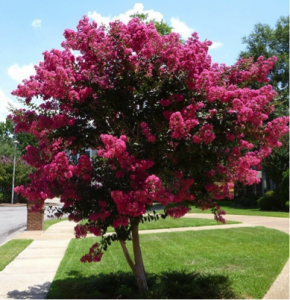 The crape myrtle study will take place summer 2019, while the orange study will take place fall 2019. What you will learn to measure: Helping us take tree measurements will help gauge tree health and how they respond to changes in irrigation. We will need your help identifying and measuring trees. First, we need to make sure we are looking at the right tree species. If you are unsure of the species, take picture with your phone and send it to the researcher with the rest of your notes. Want to double check? Download the App iNaturalist. On your iPhone or Android phone in the field, take a photo of the tree- it’s very easy! Visit our Measuring Trees Training page for some helpful videos about iNaturalist and taking measurements. Diameter at breast height (DBH) is perhaps the most common tree measurement and is used to gauge tree growth over time as well as to estimate how much carbon the tree has stored. DBH is taken at 4.5 feet (1.3 m) above ground, approximately breast height. If you do not have a DBH tape, you can simply measure the circumference of the tree and we will calculate the diameter for you. When recording data, it is important to record your location and to take a picture of the tree so that the data can easily be verified. You can record your GPS location using an app on your smartphone such as iNaturalist. Next, we will measure the tree canopy size in the four cardinal directions, first north-south and then east-west. The measurement is undertaken by finding the cardinal directions and placing a measuring reel under the furthest reach of the canopy in those directions. This is so the research scientists can draw an approximate polygon to determine how big the canopy is. To measure this, you will need your ~33ft string to visualize a circle around the tree and estimate how much surface within the circle is permeable. A permeable surface is any surface that allows water (or any other liquid) to percolate or seep down underneath the surface. Soil is permeable, concrete is not.